There will be great food and lots of beer at this event. This is the 3rd year of this event and it gains popularity every year! It's been sold out every year. So come out to this downtown location and have a great time this May 24 weekend. 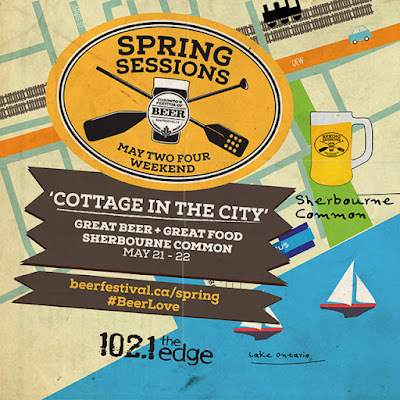 Celebrate the cottage life in the city. Disclosure: I have been given tickets for promoting this event in exchange.